Telefilm Canada has released its 2017-2018 annual report, and what a stellar year for Canada’s audiovisual industry. 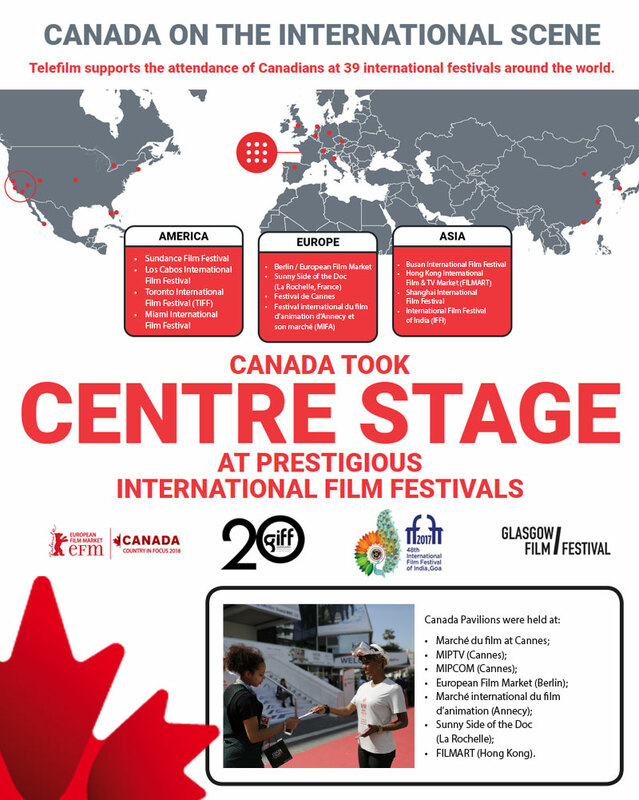 Canada had prestigious festival acclaim; completed its first year as a member country of Eurimages; implemented a five-point action plan to achieve gender parity, increased support to Indigenous creators; renewed its focus on emerging talent; was active in international coproduction, and so much more. 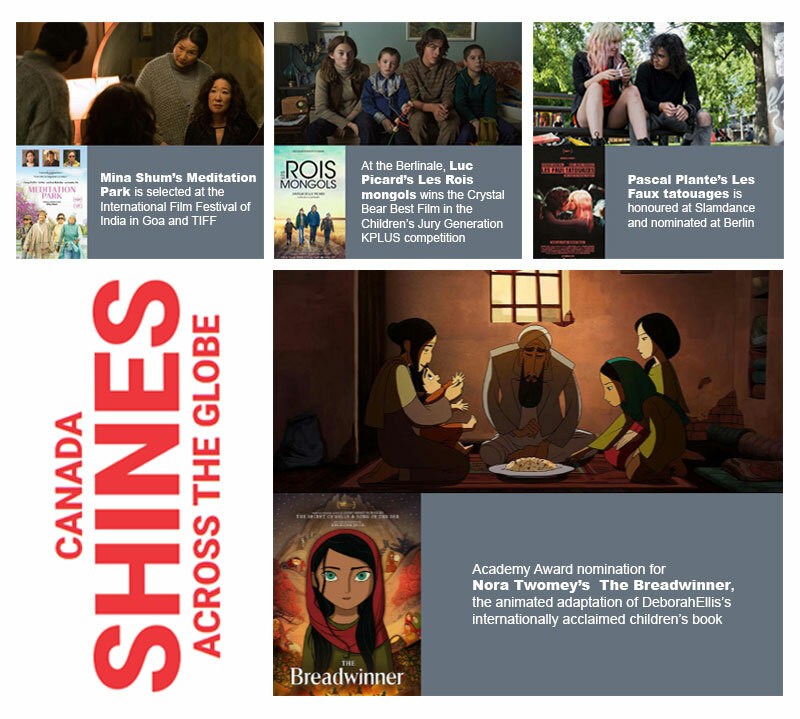 Canadian content made big waves at festivals and award shows at home and abroad. Since 2013, Canadian films funded by Telefilm have generated sales over $3 million total a whopping $165 million! Plus, building an inclusive and diverse industry that reflects the rich multiculturalism of the country itself was a priority. Telefilm implemented a five-step action plan to achieve gender parity by 2020; participated in the creation of the Indigenous Screen Office; and allocated more than $5 million to Indigenous filmmakers. The new Talent to Watch Program (formerly the Micro-Budget Production Program) now supports up to 50 projects annually from emerging creators from coast-to-coast-to-coast. Global relationships and exporting our cinema around the world were top of mind in the last year, from supporting Canadian attendance at 39 international festivals (and hosting Canada Pavilions at seven of these) to having coproduction treaties in place with close to 60 countries and export incentives like Telefilm’s International marketing and festival participation program and Telefilm’s Export assistance program. Our focus on international coproduction resulted in Telefilm financing 17 official treaty coproductions amounting to $24 million. Canada also became the 38th member country of Eurimages (and its first non-European member country). Canada’s first year with Eurimages was quite impressive and resulted in support for seven Canadian projects totaling 3.4 million dollars. Promotion is another focus, and our dedicated Rendezvous Canada iTunes stores bring Canadian content to our fans around the globe. And, last but not least, this very platform, RDV Canada, where Canada is at your fingertips as your creative and business partner of choice.